Lucia has put up with Will for far longer than either of them are willing to admit. They started Focus Photography in 2005 when they moved back to New England from Southern California, with Lucia leaving a career in corporate training and development because Will begged her to spend every hour of her life with him (probably not those exact words…)They both avoided sending over text for this page, saying something about meeting clients I hadn’t heard of as they hurried out the door. I chose a transcript of a podcast interview they did with Wedding Photographers International a while back so this page wouldn’t be empty. The transcript is abbreviated a little bit, because it featured hours of Will and Lucia gushing about how great their team is, and how they couldn’t function without me, and honestly, after the first hour of that it just got embarrassing. WPI: This afternoon we have William von Wenzel and Lucia Razionale from Focus Photography with us. They own a wedding and portrait studio in Portland, Maine, and are a husband and wife team that started their business so they could work alongside each other. WPI: Thank you both for talking with us today. You guys are married, work together, and you shoot weddings together. Do you ever have too much togetherness? Lucia: Yes, I need a girls’ day! Seriously, not really, Will and I handle different things at Focus Photography, and there’s lots of days where we’re each in our own offices, and not seeing each other until we leave. Will does most of the studio shooting, and he oversees all of the image processing. I take care of our clients, and oversee the production staff, so we’ve got our own areas of responsibility.Will: Even at weddings, we each have our own things we shoot. Lucia’s great at capturing all the candid moments and making sure we stick to a schedule, while I shoot more of the directed shots. WPI: What’s your favorite thing about weddings? Will: Our clients. I love working with our couples and their families, and I love ribbing the bridal party.Lucia: Is ribbing still an expression?Will: I thought ‘picking on the bridal party’ wouldn’t sound interview-ish.Lucia: So you went with ribbing?Will: I think I’m being ribbed right now. WPI: What do you think is the most important piece of equipment at weddings? Will: I think it’s either a sense of humor, or a friendly smile.Lucia: Oooh, that’s good. I was thinking wits, and for me, a clipboard full of info on what’s most important to the bride. WPI: I guess I was talking more about photography equipment. Will: Yeah, I’m still giving you the same answer, and it’s not a cop-out. We take cases of cameras, lenses, lights, stands, tripods, ladders, and other gear – in fact we’ve got three of just about every thing so we have a backup – and we definitely use it all. But the most important piece of gear is going to change in each situation. Sometimes it feels like the tiny piece of CTO gel we tape on our flashes is the most important thing, because then we can color match the room and not make everything yellow. Some receptions its our step-ladders, because there’s no other way to get a view of the dance floor.But too many photographers focus on their equipment, and neglect their social skills when they think about weddings. You could spend 100k on Hasselblad’s latest kit, but if you don’t have the ability to connect with people and make photography less uncomfortable, you’ll spend the day creating images of invitations, flowers and tabletops. Cameras can only come between you and your subject, they can’t help you connect. WPI: You’re right, I guess you see that on a lot of blogs. 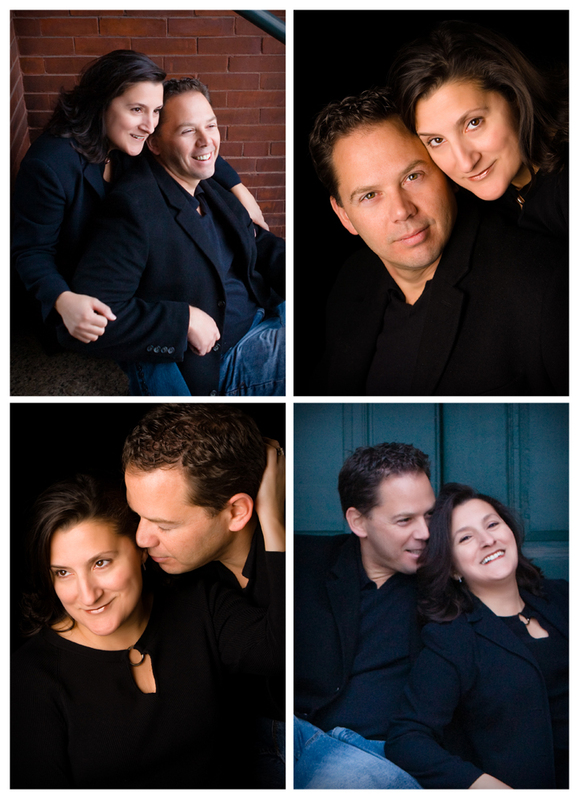 Photographers that show pages of details and then one image of a couple looking awkward, and nothing with the families. You guys show a ton of families, bridal parties, and of course, couples’ portraits. That’s really what you’re known for, right? Lucia: I thought Will was known for being married to me.Will: I thought I was known for my pasta sauce.Lucia: No, I married you for your pasta sauce. You’re definitely known for being married to me.Will: Okay, I’ll introduce myself as Mr. Lucia Razionale from now on. Yes Kay you’re right, we’re known for our couples’ images and our portraits. I had one bride in Malibu, Destiny Anne, back in about 2002, who gave me the most amazing insight.She said “I want a big pile of proofs” – that was when we still did proofs for weddings – “I want a big pile of proofs of me to choose from, and just as many great shots of Jeff, and then there should be dozens of images of the two of us together, and do you know why? So that when my friends look at our images, they won’t be able to help but see how in love we are. I want his ex-girlfriends and current co-workers to know that they can never compete with this,” – and she gestured at her body, and you could see how proud she was that she’d been losing weight for the wedding – “I want them to know that they can’t get between us, and that they shouldn’t even try. I want his mother to remember that I’m the woman in his life, and that even though we spent more money on this wedding and on you as our photographer than she might approve of, it was worth it, because she can’t choose her favorite picture of her son. And I don’t want to settle for a picture or two of Jeff either – I want my office decorated with him, so I never get hit on at work again.”Lucia: And after that, Will changed his approach towards weddings. He really took it to heart. He practiced how he could give our clients the most variety in a short span of time. And he doesn’t just take five images of the bride in the same spot – he’ll show her twenty images, each in a different pose with a different crop and with different backgrounds. WPI: Wow, she really knew what she wanted out of her wedding pictures. Lucia: I don’t think most people even think about why they’re hiring a wedding photographer. It’s just expected, but you’re right Kay, Destiny knew why she wanted the wedding images she wanted to get! Will: It’s a little unfair, choosing a wedding photographer, because you probably don’t really know how important the images will be to you, or as the wedding surveys show, how disappointed you’ll be if your pictures are mediocre, until long after they’re created and delivered. WPI: Lucia mentioned that you actually practiced what you would do with clients for wedding days? Lucia: Will makes us all practice what we’re going to do on a wedding day. Some days we have to go into dark halls and practice shooting there. Other days we practice in ugly rooms, and work on not showing the ugly.Will: As full-time photographers, we shoot every day, but not under the same conditions as we’ll have at weddings, so yeah, we’ve got to practice. And not just posing couples, but lighting them, making them laugh, giving them choreographed ideas, If you want to try something new, like a light-painting, or a long-exposure, or over-powering the sun, or even a flash-blast, you’ve got to practice it, or you’ll never nail the image on a wedding day. WPI: Okay, Focus Photography believes in bringing their A-Game to every event. Got it. Lucia: Weddings are a one-shot, get it right or you can never do it over event. And for us, we also have a money-back guarantee that our couples will love their images, so, we’re under that pressure too. WPI: Has that ever backfired on you? I don’t know any other wedding photographers who offer a guarantee, and I would guess people are afraid couples might try to scam them. Lucia: If you think people are out to get you, they are. If you think people are basically good, and just fearful about making the wrong decision and you can take some of that fear away with a guarantee, then it’s the right thing. We’ve never had anyone try to get free wedding photography – our couples are amazing, and we stay in touch and continue to photograph their families as they have them.And keep in mind, we guarantee they’ll love their images, not that they’ll look like Brad Pitt, that’s important! We’re photographers, not magicians.Will: We just always thought that our couples shouldn’t be the only people with some skin in the game at the wedding, you know what I mean? Saturday shouldn’t just be another work day – it should be a chance to totally blow away Chris and Stephanie with amazing images they aren’t expecting. WPI: Let’s talk about some of the day to day things photographers deal with. What are the biggest dilemmas you guys face on a daily basis? Lucia: Which one of us is making dinner, and what’s It going to be?Will: That is a dilemma, Lucia. You and whatever you want to make. My personal challenge is that there are so many good cocktails in Portland, but at the same time we’re living in the golden age of beer innovation, and it seems like Maine is at the epicenter of this beer-renaissance. I’d love to get a margarita, but I’ll feel guilty if I don’t try a new IPA. Lucia: Yeah, I love margaritas, but I also like Prosecco, and anything that has -tini in the name. What’s a girl to do?Will: What if you served a margarita straight up in a martini glass, and used Prosecco instead of sour mix?Lucia: Marga-secco-tini? All my problems are solved. WPI: Are there any photography related dilemmas you want to talk about? Will: What to drink isn’t photography related? WPI: What about the big photography rivalries, like jpeg vs raw, or film vs digital, or Canon versus Nikon? Will: Sorry, no rivalries here. We shoot both film and digital, capture raw files as well as jpegs, and I don’t think it matters. We do what it takes to create the image we want. Our cameras are tools, and I’m not sponsored by either company, so I’m not worried about getting their name in print. WPI: Okay, I’m clearly not drawing you into discussing those things. You moved to Maine from outside Los Angeles. What were the biggest adjustments? Will: There’s definitely not enough weddings in the winter in Maine! Lucia: There’s definitely not enough beach days throughout the year!Will: We’re both from New England, so it wasn’t hard to come home. But I really loved being able to work weddings every weekend in California.Lucia: Will shot more weddings each year we were out West than photographers here shoot in five. WPI: Malcolm Gladwell talks about the Beatles performing for 10,000 hours before they were, well, the Beatles. David Beckham said that was about 100 weddings for photographers. Do you agree? Will: At least! I think that’s about where I was when Destiny Anne told me the reason I became a more-variety-oriented wedding photographer, and I’m sure I shot at least another hundred weddings before I really owned that. In California, I could shoot that in under two years, but in New England, it would could take a lot longer. So, that and the weather explain why we lived out there. WPI: Thank you both for chatting with me. Why don’t you tell our listeners where they can find you. Will: We’ll probably be getting drinks downtown.Lucia: Or cooking dinner. One of us needs to get started on dinner, and I think that someone is Will. WPI: I meant, where can our listeners find you on the web or on social media? Will: Yes, I appreciate that, but our way was funnier.